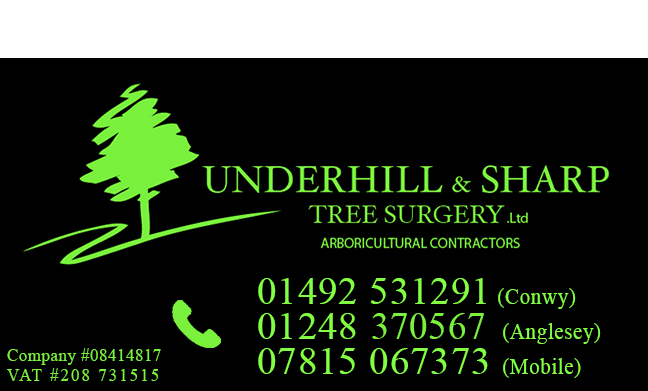 Underhill & Sharp Tree Surgery Ltd are a leading North Wales Tree Surgery and Arboriculture company. Since founding the company, we've maintained and expanded our loyal customer base through referrals of satisfied customers throughout Anglesey, Conwy & Gwynedd, and the rest of North Wales. We provide professional tree care services, and our clean and proficient work sites - achieved through the use of modern machinery - are operated by fully certified and insured staff. We pride ourselves on offering a versatile and effective list of tree care solutions, and will deliver a free no obligation quote, guaranteeing a short turnover time from customers accepting a quote, to work being completed. We attend to the needs of varying emergency situations and can advise and organise an effective response upon visiting the site. We are experienced in working to close proximity to carriageways, buildings and structures and have rectified many potentially dangerous and unpredictable situations for a variety of clients, from home owners, to national utility firms - always working under fully insured conditions. Essentially influenced by the trees location within its environment, the removal of any tree falls into 2 main categories, Felling & Dismantling. This practise takes place when the tree can be worked on at ground level, when there is no threat to the public, or surrounding property. This is a process which deploys the most modern arboricultural techniques in lowering systems, to allow a controlled dismantle of a tree in any given location, however awkward. This is by far the most common approach within our industry in North Wales. Focussing on maintaining a natural shape for our clients is paramount, associated practises such as ‘topping’ or ‘lopping’ are completely discouraged. Accurate pruning methods ensure the needs of the client and tree are regularly achieved. As arborist’s, we can determine the type of pruning necessary to maintain or improve the health, appearance, and safety of trees. Storms may cause limbs or entire trees to fall, often landing on other trees, homes and other structures, or cars. We can fix this. We can plant trees for you, or we can recommend types of trees that are appropriate for a specific location. Large, and small hedge reduction specialists, hedge trimming and maintenance undertaken. Underhill & Sharp Tree Surgery Ltd believe wholeheartedly in providing a professional and extremely high-standard service. You'll be glad you came to us. From your free initial consultation, to the work being completed, we will get the job done with speed and quality. We use best practices to ensure safety throughout, and we have £5M public & employers liability insurance. Short of direct lightning storms, there’s no weather that will stop us getting the job done. Mike and Sam did a great job, they clearly know about trees, are reasonably priced and quick, with no fuss or mess. I’m very pleased. I just wish there were more people who were good at what they do, like these guys are. Meet Mike & Sam, the founders of Underhill & Sharp Tree Surgery Ltd. Working as a tree surgeon since 2001, Mike has experienced everything tree surgery has to throw at him. Originally starting in North Wales to cut his teeth in the art of tree work, Mike continued his journey working in Leeds and Brighton, and recently returned from 5 years studying and working in Sweden. 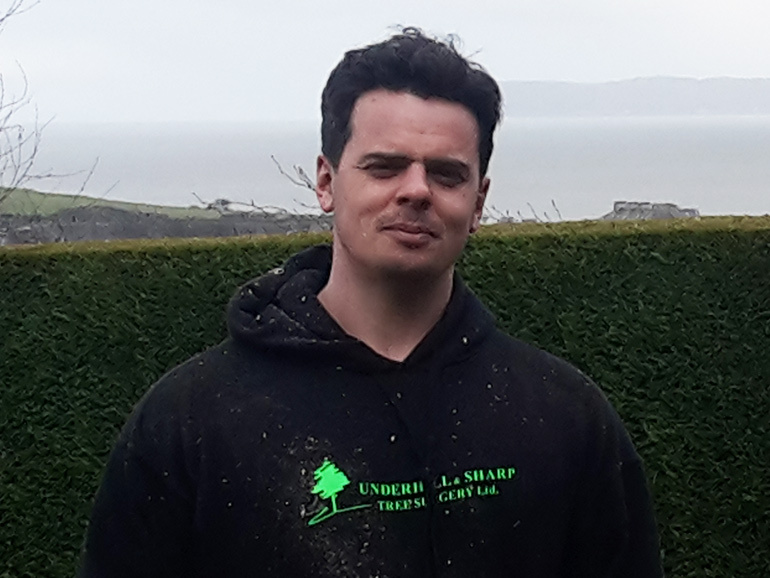 Fully certified and holding a Bsc (hons) in Outdoor and environmental education, Mike has the broad range of knowledge and experience needed to complete safe, quality tree care for your needs. Born and raised in South Shropshire, Sam has been instilled with a love of the outdoors since an early age. 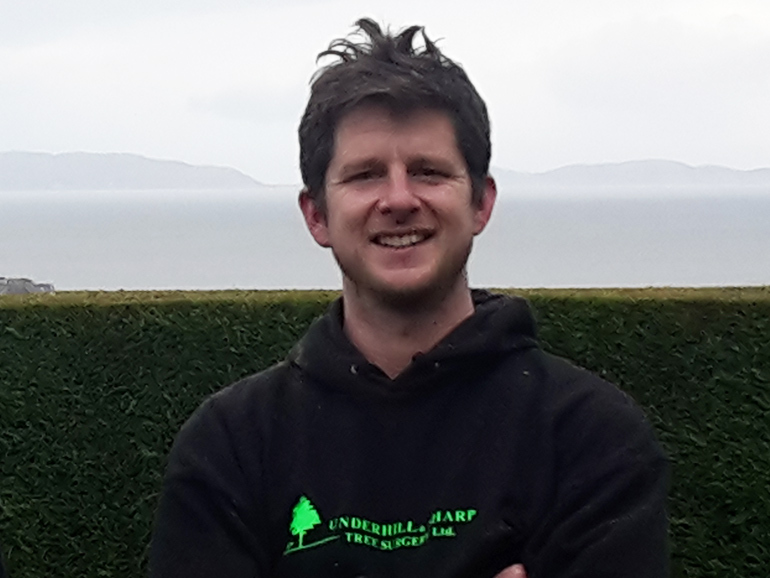 Since leaving school, Sam studied an environmental Bsc degree at Liverpool JMU, and subsequently worked throughout Scotland & Wales applying his skills, eventually becoming involved in Arboriculture in North Wales in 2005. Having worked for various companies both in Wales and in Scandinavia for numerous years, the next challenge was to form a traditional, yet modern and energetic business within our practised industry, aboriculture – i.e. all things associated with trees! We frequently post photos about the Tree Surgery work that we do in North Wales. Join us! AND WE HAVE OFFICES ON ANGLESEY AND IN CONWY. If you'd like to talk urgently, phone us now!